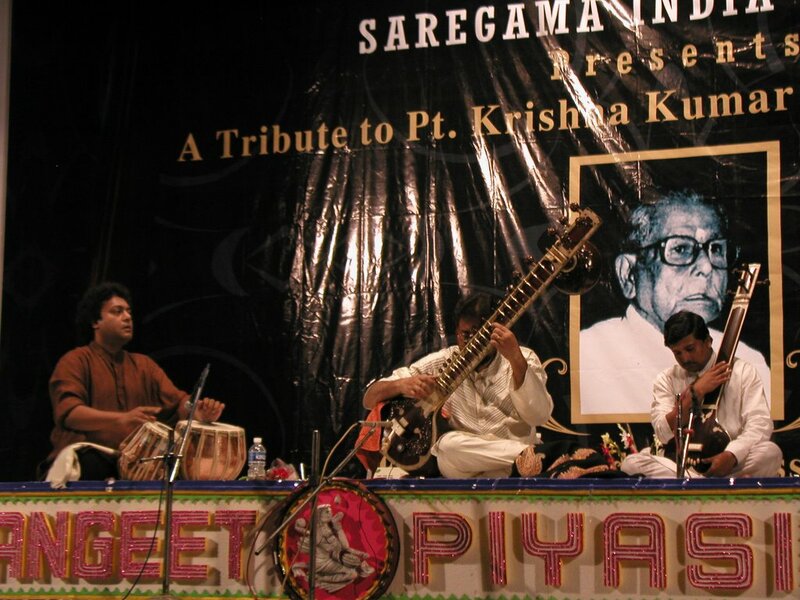 Yesterday marked the last festival day in the Uttam Manch, (the smaller auditorium). The concert started one hour earlier so the crew had time to take down decorations and bring them over to the Nazrul Manch, (the bigger auditorium). I spent my morning writing and burning C.D.’s for people. I had to hang around the mission till 10 because I was waiting for some pictures to be developed. I took some great pictures of Mukta’s daughter and I wanted to give them to him before I left. I picked up the pictures and went straight to Mukta’s shop. Manu was there ordering some tabla for himself, so I used his language skills to help me translate my tabla needs. I think I have everything figured out. I will feel better about everything once I am past customs and on the plane to Amsterdam. After Mukta’s, I spent the afternoon relaxing and hanging out at the mission. There was not much time before we had to leave for the concert, so I wanted to rest up. The show was great once again. 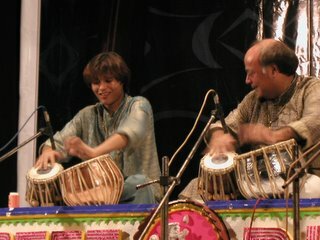 The tabla solo was by Sabir Khan and his son Arif. They were very entertaining on stage, and sounded incredible. The vocalist was Mashkoor Ali Khan. 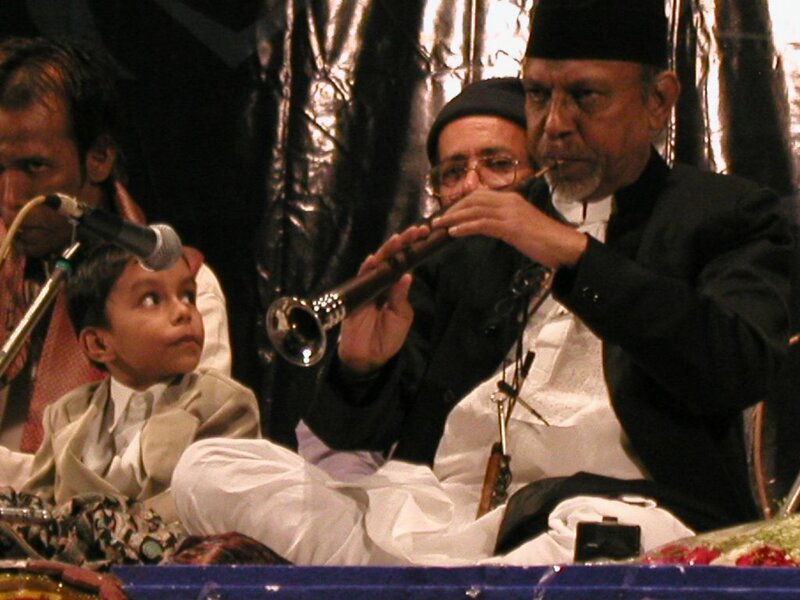 He had two of his students with him playing the tanpura and singing a bit. One of the students was really really good. All the master performers sitting in the front row kept looking at each other when he would sing. I think he has been marked as one to watch. 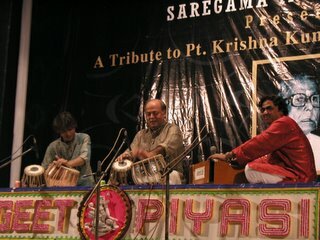 The tabla accompanist was Tarak Saha, who is Samarji’s brother. 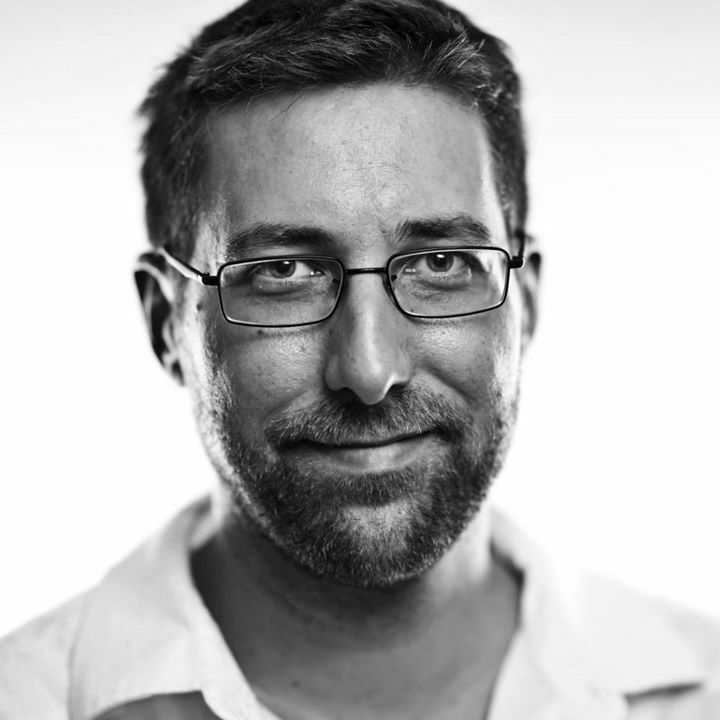 There was a moment in the show when he went to take a little solo and Mashkoor stopped him. Everyone sitting around me was upset by it. 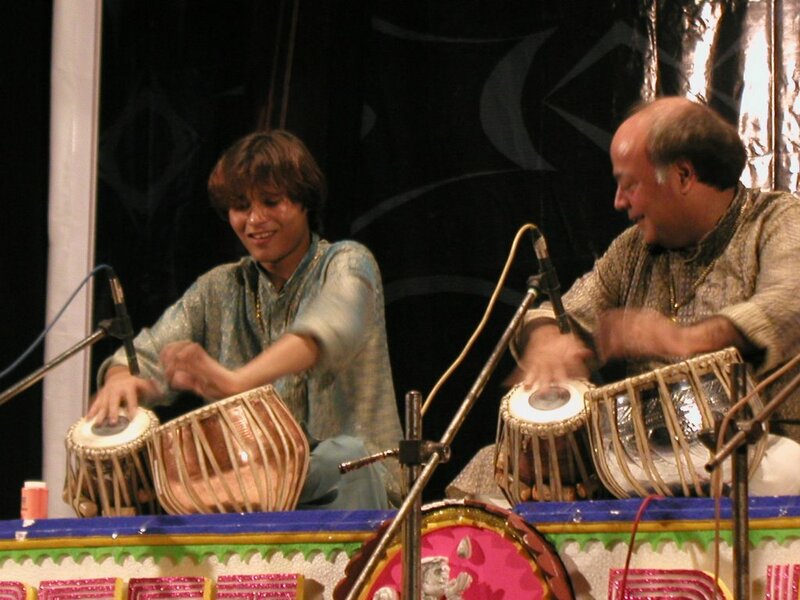 It is, after all, a tabla based festival. 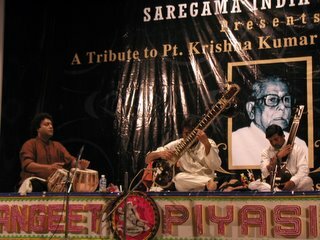 The third performer was Kushal Das on the sitar. 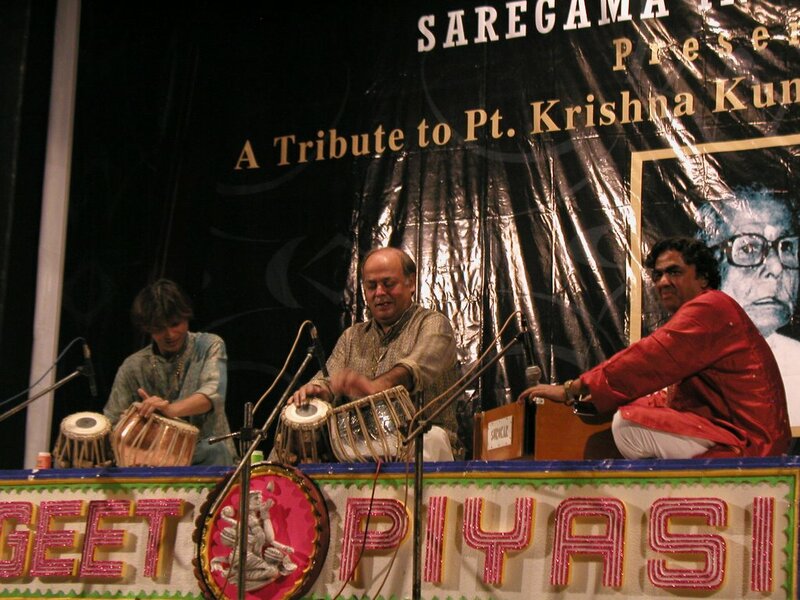 I was especially interested in seeing him because he is the sitarist who got sick in Chicago which led to me being on stage with Samarji back in 2003. I guess I just wanted to see what we missed that day. I must say, I was blown away by his playing. I think Ann Arbor missed out on a truly incredible show when they got me instead of him. The final performer was Ali Ahmed Hussain. He played a double reed instrument called the shenai (shen-eye). The sound reminded me at times of a soprano saxophone with a gruff sort of tone. He was an amazing player and he was surrounded by what I assumed to be 3 of his sons. They all played the shenai, so the sound was really big and boisterous. 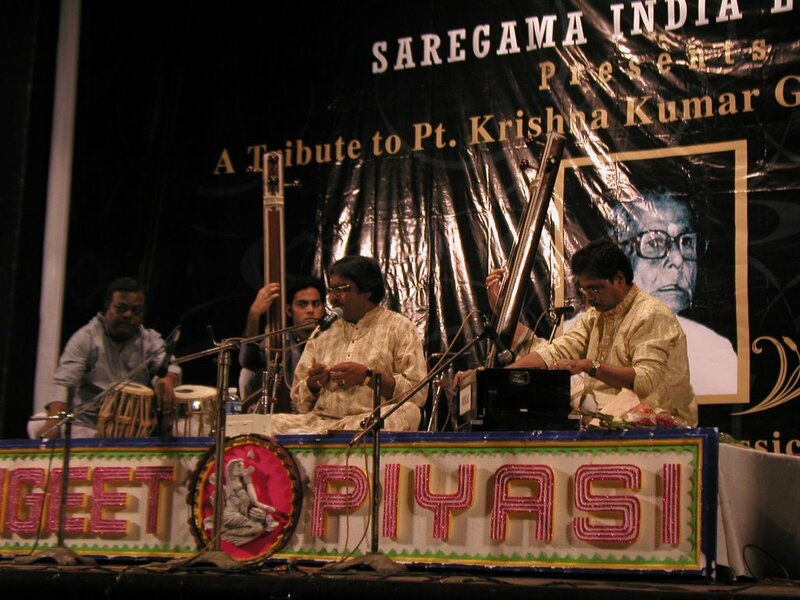 When the concert was over, everyone was working furiously to take things down and bring them over to the Nazrul Manch. One guy fell off stage and broke his wrist. It didn’t look to bad, but everyone was lamenting, since he seemed to play some sort of important roll in tomorrows concert. I offered to help once again, but instead was put into a car and driven home.